2. 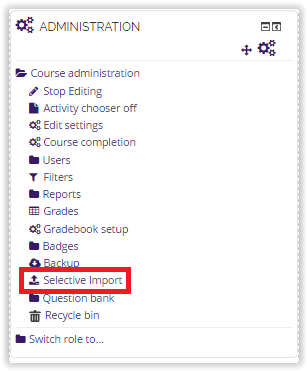 In the Administration Block, click Selective Import. 3. Select the course in which you would like to upload information from, and click Continue. 4. 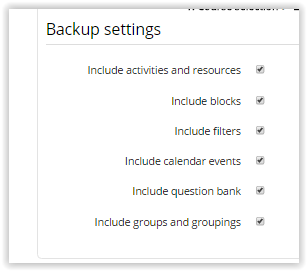 Select the Backup Settings that you desire, and click Next. 5. Select the desired glossary and click Next. 6. It will then show which items are to be imported. You may edit it until everything you wish to import, including the glossary has been selected. Then click Perform Import.